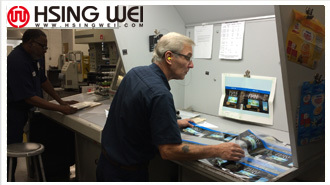 PVC shrink film printing machine project enterprise was founded in 1996, leading printing and packaging solution companies in the United States. 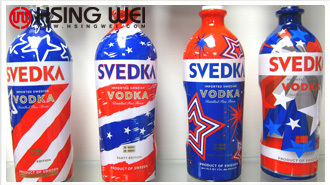 It produces labels and packaging for many of the nation’s leading brands across all industry sectors including PVC shrink film printing for Personal Care, PVC shrink film printing for Beverage, PVC shrink film printing for Food and Household. PVC shrinkable film is critical film for printing, excellent printing quality, clarity, wide range of both shrink temperatures and shrink ratios, easy to print, stable and with good transparency, high impact strength for extra weather resistance, cost efficiency, the most economical and popular material for labels and packaging. For minimizing waste and maximizing profit, project enterprise extremely request PVC shrink film printing machine with perfect tension control systems, precise engineering, quick job changeover. After cautious considerations, testing and brand comparison. 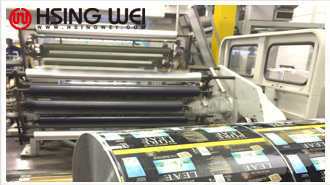 Customer decided go for the ultimate in efficiency, Hsing Wei ROTO gravure printing machine, with twelve colors. Machine features with solid steel with non vibration design, linear displacement transducer, Germany Siemens programmable logic controller,Inverter, applied to an existing industrial automatic system. Motors adopt synchronous proportional running electric control system. In line slitting,simple operation, wide compatibility, greatly decreased material wastage.Save wastage is same as saving money. Now they offer the full range of services in the conversion of heat shrinkable packaging products. 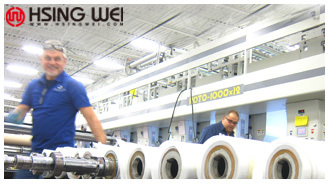 The company’s rapid growth can be attributed to its commitment to innovation and excellent PVC shrink film printing machine, superior PVC shrink film printing technology and to its dedicated team of nationally acclaimed packaging technicians and operatives.